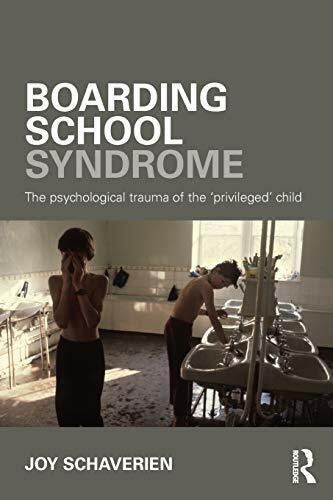 Boarding School Syndrome is an analysis of the trauma of the 'privileged' child sent to boarding school at a young age. Innovative and challenging, Joy Schaverien offers a psychological analysis of the long-established British and colonial preparatory and public boarding school tradition. Richly illustrated with pictures and the narratives of adult ex-boarders in psychotherapy, the book demonstrates how some forms of enduring distress in adult life may be traced back to the early losses of home and family. Developed from clinical research and informed by attachment and child development theories `Boarding School Syndrome' is a new term that offers a theoretical framework on which the psychotherapeutic treatment of ex-boarders may build. Divided into four parts, History: In the Name of Privilege; Exile and Healing; Broken Attachments: A Hidden Trauma, and The Boarding School Body, the book includes vivid case studies of ex-boarders in psychotherapy. Their accounts reveal details of the suffering endured: loss, bereavement and captivity are sometimes compounded by physical, sexual and psychological abuse. Here, Joy Schaverien shows how many boarders adopt unconscious coping strategies including dissociative amnesia resulting in a psychological split between the 'home self' and the 'boarding school self'. This pattern may continue into adult life, causing difficulties in intimate relationships, generalized depression and separation anxiety amongst other forms of psychological distress. Boarding School Syndrome demonstrates how boarding school may damage those it is meant to be a reward and discusses the wider implications of this tradition. It will be essential reading for psychoanalysts, Jungian analysts, psychotherapists, art psychotherapists, counsellors and others interested in the psychological, cultural and international legacy of this tradition including ex-boarders and their partners.